Okay, let me say upfront that self-publication is always something I advise against when someone asks me if he or she should self-publish a book. This question usually comes from one of two kinds of writer: 1) Someone with virtually no publication credits and little understanding of how publishing works, or 2) Someone with a good deal of publication credits but no success in finding a book publisher in spite of several years of trying. The first person is just going to spend a lot of money and end up with a box of books in the basement. The second person, oh, the poor second person. I get the frustration. I had it. But I am so glad that I stuck it out those years of trying and kept trying, each summer refining the manuscript. 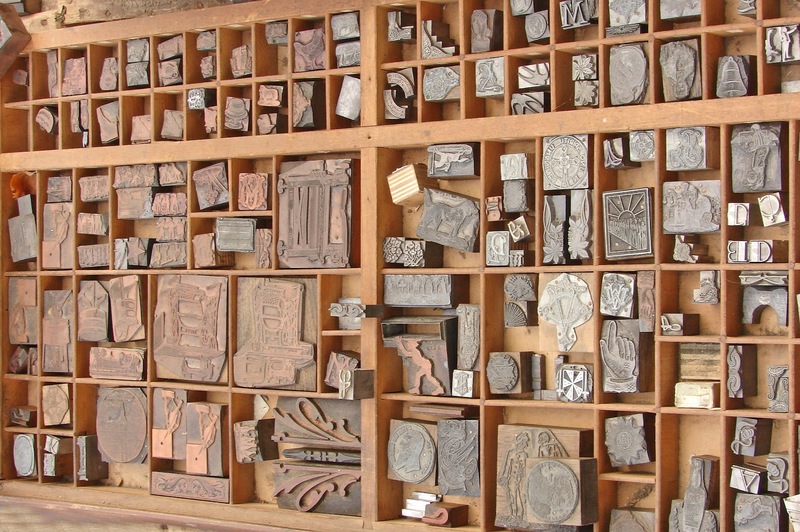 As I look back now, I know that I would have regretted it if my first efforts had managed to find a publisher. I know I would have regretted it even more if I'd jumped the gun and self-published. So I always advise the second person, especially if he or she is relatively young, to keep plugging away. Patience and persistence. But the pros and cons of self-publishing is not really my topic today. I want to talk about the new venture just launched by She Writes, an online community for writers, primarily women writers. I joined a few years ago when the site was new. There were just around 300 members at that time. Now there are almost 20,000! Now the site has found a way to "monetize"—I'm learning to hate that word, by the way. She Writes recently announced that they were launching a book publishing arm—She Writes Press—and were officially open for submissions from their members. As I read their newsletter, I realized that this is a self-publication venture, that is, selected authors will have to cover the publication costs. There is also a substantial $25 reading fee for the first 20 pages. According to the press's website, the publishers, Kamy Wicoff, the founder of She Writes, and Brooke Warren, will not automatically accept any manuscript that is submitted. They will be selective. If they like the first 20 pages and the project description, they will ask to see the entire manuscript. If accepted, the author pays $3900. That seems hefty to me, but I have no idea how the cost compares to that of other self-publication presses. It is not clear to me how much editing is done as part of the package, but there are additional fees for additional services. Depending upon the readiness of the manuscript when submitted, some of these services may be required. The publishers suggest that the author hire someone to proofread the first pdf. They then proofread the final version as part of the package fee. They promise a good deal of oversight and editorial input—something that will distinguish them from other self-publication services. I have no idea how many manuscripts were submitted, but the publishers soon posted an announcement of the selection of their first title. I rather poo-pooed that. That is until I read the online excerpt at iPinion. I really really liked it! And I am now looking forward to reading Judith Newton's The Joys of Cooking: A Love Story. Newton, not surprisingly, is not an inexperienced writer. She is a well-seasoned teacher, author, and editor. 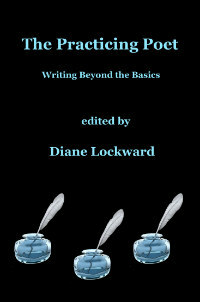 The Joys of Cooking: A Love Story is the history of a woman’s emotional education, the romantic tale of a marriage between a straight woman and a gay man, and an exploration of the ways in which cooking can lay the groundwork not only for personal healing and familial relation, but for political community as well. Organized by decade and by the cookbooks that shaped author Judith Newton’s life, it sensuously evokes the cuisines, cultural spirit, and politics of the 1940s through 2011, complete with recipes. Sounds rather delicious, doesn't it? I'm looking forward to the book and am curious to see how this new publishing venture will develop. I am happy to have Ann Fisher-Wirth here today to discuss one of her poems. This is one I selected last year for the inaugural issue of Adanna for which I was the Guest Editor. I loved the poem then and I love it now. 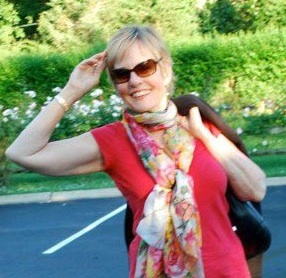 Ann Fisher-Wirth is the author of four books of poems: Blue Window (Archer Books, 2003), Five Terraces (Wind Publications, 2005), Carta Marina: A Poem in Three Parts (Wings, 2009) and Dream Cabinet (Wings, 2012). 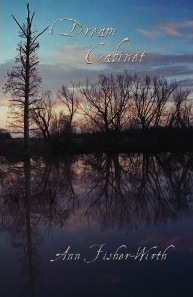 The Ecopoetry Anthology, which she is coediting with Laura-Gray Street, will be published by Trinity University Press early in 2013. Her awards include the Rita Dove Poetry Award, a Poetry Award from the Mississippi Institute of Arts and Letters, and two Poetry Fellowships from the Mississippi Arts Commission. She teaches English and Environmental Studies at the University of Mississippi. Today's poem comes from Dream Cabinet. 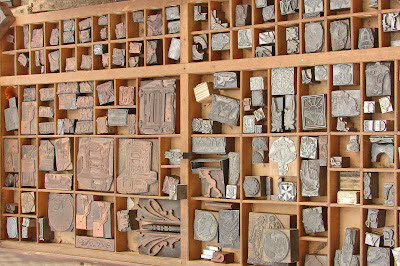 had made prints, we trudged through abundance. has built a snowman, someone is romping with a dog. surrounding my sleep, scattering their cold pollen again. DL: Tell us about your title's allusion to Wallace Stevens' "Thirteen Ways of Looking at a Blackbird." Why those lines for your poem? What do you think they add to your poem? At what point did they occur to you as just right for the title? AFW: In Mississippi, we get heat that will fry your eyeballs and humidity that will curl your toes. The spring and fall are balmy, and it almost always freezes for a while each winter. Nearly every year, there’s a smattering of snow that melts almost as soon as it falls. But we hardly ever have the chance to imitate a Northern climate, such as Wallace Stevens refers to in “Thirteen Ways of Looking at a Blackbird.” We hardly ever have real snow, deep snow, strange and continuing snow. This is why the title stolen from Stevens seemed right, once it popped into my head. The overnight snow reached shin-high—and best of all, we could tell it would not immediately be over. It was snowing and then it stopped, yet we knew it was still going to snow. DL: The syntax of your first line is immediately arresting and engaging. How did you arrive at that line? What kind of revision did it undergo? Or was it a gift? AFW: This poem began as a prose free-write; in the lull after Christmas, when I had a lot of free time before the new semester began, I vowed I would keep a journal every day. Since not much was happening except weather, I wrote about weather. I wanted to write a poem from this day’s prose paragraph and to begin the poem with a rush and tumble of adjectives to convey how surprising, how wonderful this snow was. The line just leapt into my mind. I have to admit, the next day I nearly cut the line. Why? My hyper-rational mind took over and told me there is no such thing as a “green moon” or even a saying “once in a green moon.” Luckily someone told me I was crazy. DL: Your use of pronouns is intriguing and subtle. You begin, in line 2, with the first person plural "We." In line 6, you split that pronoun in half and speak as "I." This allows a shift from description of landscape to contemplation of love—for the other half of the We. What's said in these middle lines could only be said by the singular I. This movement from exterior to interior also parallels the action of the poem. Finally, this shift brings warmth into a poem about snow. Was any of this on your mind when you made the switch? What was your intention? AFW: The “we” at the poem’s beginning refers to my husband and me; we took a walk together. “I” takes over when I begin to contemplate my feelings. You are right that the poem shifts at that point to become more inward; I did intend that, as I wanted to poem to expand beyond narrative or description to include this realm of self-awareness about feelings. I broke my knee about ten months before the day of this snowfall, and had surgery and a long recovery. That made my progress down this specific snow-covered trail gingerly, but it has also made me intensely aware of the everyday gifts--starting with life itself. But that is the nature of “I” and “we” anyway: my thoughts are always solitary, even if what I am thinking about is the person walking beside me. DL: What governed your line breaks? Also, I can see spots where your poem might have been broken into stanzas. Why did you opt for one stanza? AFW: In this poem most of the line breaks are syntactic yet there is quite a bit of enjambment; only three of twenty-three lines end at the end of a sentence. I wanted a fluid, meditative quality to infuse the narrative, which describes a single arc from daybreak to gathering night. This is why, though the poem is broken into sentences rather than being one long continuing sentence, there are not stanza breaks, and the sentences are handled with variously placed caesurae. One of my favorite poems in the world is Robert Frost’s “After Apple-Picking,” and it just occurs to me that his great poem, too, enacts an arc in a single stanza (admittedly partly through flashback) from sleep to waking to impending sleep. DL: The "white bees" metaphor that closes the poem is so wonderful. How did you land on that? AFW: My children had a beautiful book, illustrated by Susan Jeffers, of Hans Christian Andersen’s “The Snow Queen.” The Snow Queen comes to little Kai to carry him off in a blur and flurry of snow like bees. That, of course, is a malevolent image. But it lingered in my mind for its beauty and—if snow is likened to bees—in some weird way, its potential fertility and sweetness. Also, like the blank white screen with the film projector running that always used to come at the end of my father’s slide shows, the snow-bees create an atmosphere of obliteration that is both ominous and comforting. “It Was Snowing and It Was Going to Snow” is the last poem in my book Dream Cabinet. The book begins with “Slow Rain, October,” also a poem about love and family, the natural world, the liminal states between day and night, waking and sleeping. Dream Cabinet as a whole looks back and through the course of a life with its places, events, concerns, and larger historical context, always conscious nevertheless of death and dream. 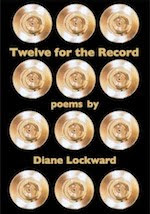 Readers, please enjoy Ann's recording of her poem. Several weeks ago Alessandro Panciroli, a translator who lives in Italy, translated some poems by Adele Kenny from English into Italian. 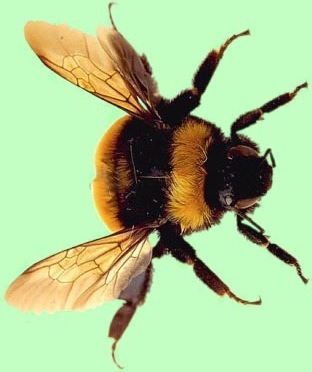 When Adele recently used my poem, "Invective Against the Bumblebee," as the model poem for a prompt on invective poems at her blog, Alessandro saw the poem and asked if he could translate it into Italian. Of course, I was happy to say yes. He has now posted the translation of the poem at his blog. ti sei introdotto nel mio garage come un abusivo. ed un cappelletto giallo sulla testa. il dito gonfio come un salsicciotto. Adesso mio figlio conosce il dolore. Adesso ha paura dell' erba. I wish I could hear Alessandro read the poem in Italian. He also posted the movie I made of the poem. You can see it at his site or at my blog in my post about Adele's prompt. The second stanza of my poem reveals that the baby is a boy. However, the only photo I could find that seemed right wasn't really right because it was obviously of a baby girl. Here's a bit of what I did to get my baby boy. The original photo, clearly a girl, all dressed in pink. 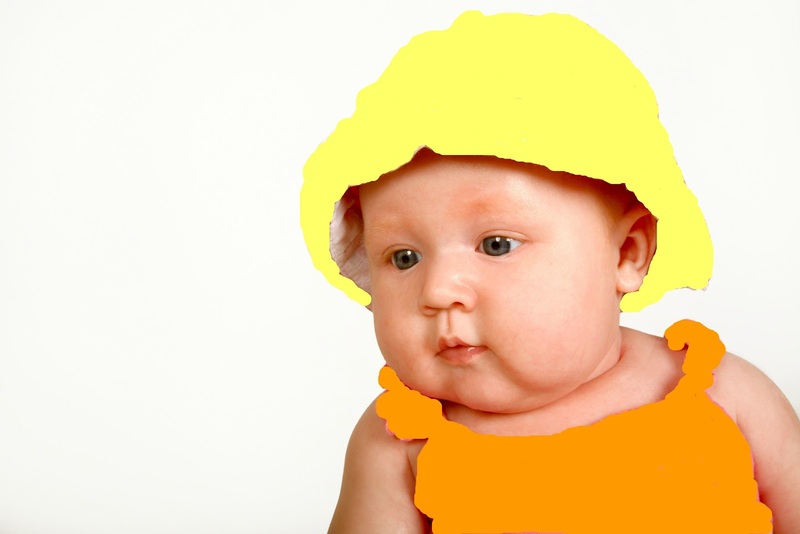 But my poem specifies a boy baby in an orange stretch suit and a yellow hat. I uploaded the photo to Picnik. (That photo editor site has been shut but happily replaced by Ribbet which has all the same features.) Then I opened the Doodle feature and carefully colored in the suit and the hat. Now I had my dear little baby boy. Next I needed a bumblebee. And here it is. But I needed to get that bumblebee close to the baby. So I opened up Keynote and dragged in the photo of the baby. I got rid of the background and added a green one to suggest the grass. 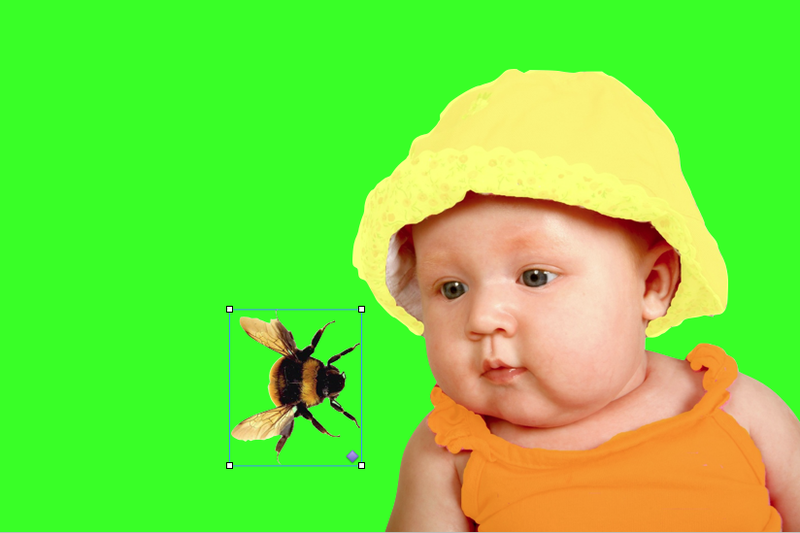 Finally, I dragged in the bumblebee, but I wanted him to move, to fly towards the baby. I found just the right transition in Keynote and that simulated flying. A few weeks ago poet and blogger Adele Kenny contacted me and asked permission to use my poem, "Invective Against the Bumblebee," as the model poem for her upcoming poetry prompt. Adele keeps a wonderful blog, The Music In It, where each Saturday she posts a prompt. Each prompt is preceded by a paragraph or two of instruction with some history and craft discussion. Then there is usually a list of links to sample poems. Then the prompt. Of course, I was happy to have my poem included in prompt #107, Invective Poems. The timing of Adele's request was interesting as I was just putting the finishing touches on my July Poetry Newsletter. The prompt for July was a curse poem. I hope this doesn't indicate that the poets are turning cranky! I was also about to complete a movie I'd been making of the poem, using the soundtrack I'd recorded when the poem was reprinted at Soundzine a few months ago. So this seemed like a good time to at last post the movie version of "Invective Against the Bumblebee." Now go visit The Music In It, bookmark the site, sign on as a follower, and return each Saturday. If you're not already a subscriber to my monthly Poetry Newsletter and would like to be, move over to the right sidebar and fill out the brief form there. It's free and includes a book recommendation, poem and prompt, links to poetry-related sites, a video, and a Craft Tip from a well-established poet.